Businesses and organizations are slowly moving towards more efficient and attractive workspaces. 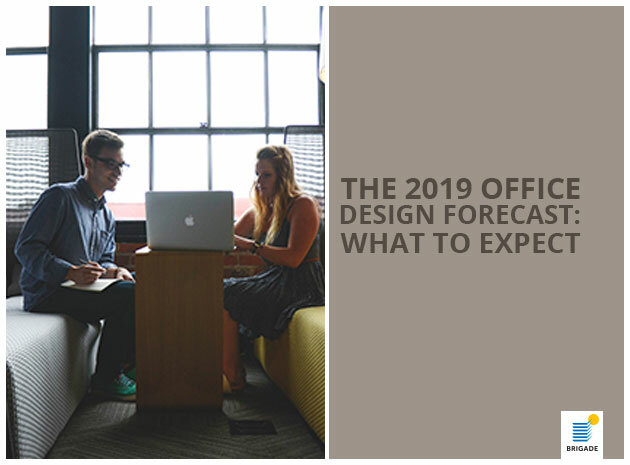 With the trends moving away from the traditional layout, like the cubicles, 2019 sees more promising workspace layouts coming in. This is not just a practice to keep up with the trends but also to attract the millennial workforce, 61% of which prefers a more aesthetically pleasing and comfortable office. Green branding is a more eco-friendly option where organizations are installing more green spaces and plants inside and outside the workspace. This gives the employees perception of better breathing space and hence resulting in much more productive work hours! Brigade Group is a standing proof of this theory with their properties like Brigade Opus and Brigade Tech Garden. Experience-driven spaces are a type of workspace where employees are exposed to much more than the dedicated hours of work. Including areas like a shopping center, a gaming area or an amphitheater which keeps the employees more engaged and thus increasing productivity. Such workplaces also encourage better collaboration which is a much-needed feature & enhances employee experience to a great level. According to a poll by Office Genie in 2017 45% of 1,456 workers expressed issues regarding lack of collaborative spaces in office. Brigade has taken proactive steps to include such a model with the Signature Towers and The Arcade at Brigade Meadows. While The Arcade is more suitable for small to medium businesses, Signature Towers offers spaces that cater to various types of businesses. Studies indicate that people are spending about 12 hours at work and mostly sitting with little or no physical activity. This is taking a toll on their bodies and overall health. To counter this, organizations are making their workspaces more active by including amenities that foster physical activity like a swimming pool or a gym. The focus is moving from just productivity and sales to the employees’ health and wellness. Some of Brigade’s initiatives to point out would be Brigade Tech Gardens which has a swimming pool and an upcoming fitness center while Bengaluru’s renowned World Trade Center now sports a multifunctional gym in its premises. With these developments in the workspace sector, we sure are looking at some innovative and appealing office spaces in 2019!